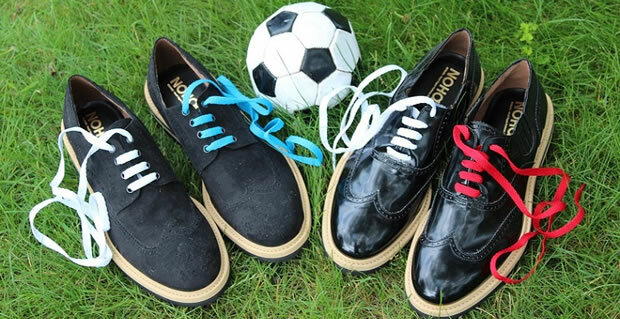 Vegan Shoes – Kitmeout Designer Clothes – Fashion Blog & Fashion Forum. 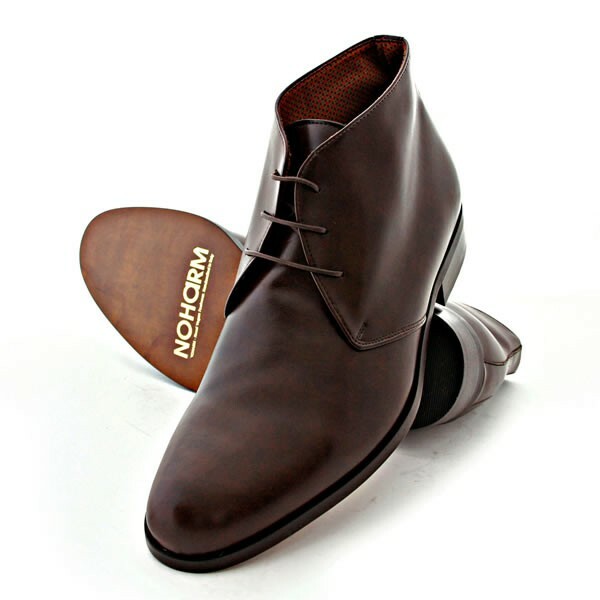 Take a butchers at these vegan shoes by NOHARM. 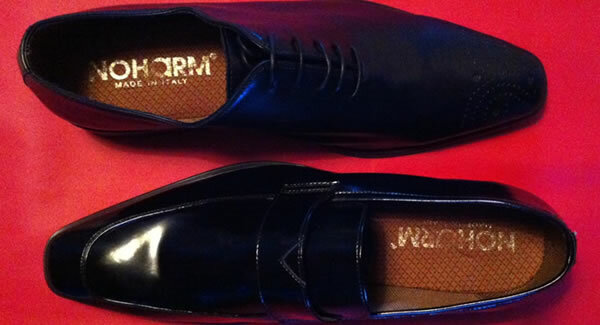 All NOHARM shoes are made in Italy and the company was started 10 years ago in England. 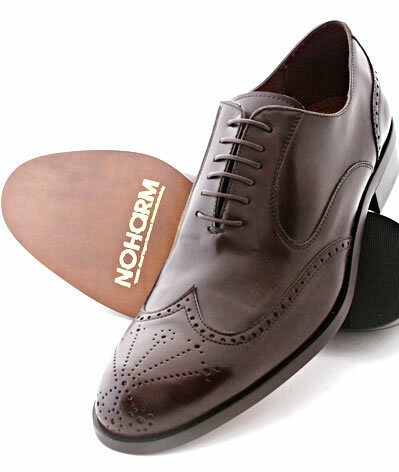 NOHARM is widely considered the ultimate vegan footwear brand and their shoes compare favourably to top leather brands like Gucci and Tods. 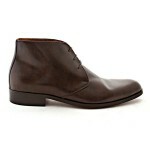 Looking for men’s shoes with Italian style but with a strong ethical edge? Look no further than contemporary brand, NOHARM. 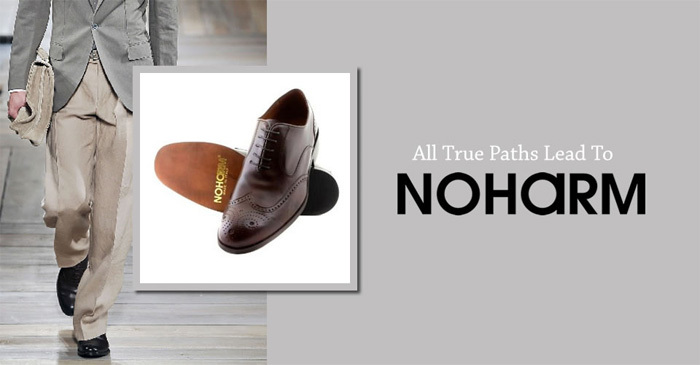 All NOHARM footwear is made in Italy to the exacting standards of top Italian brands like Gucci and Prada but also to stringent ethical and environmental standards. Here we see a preview of the new collection of pointed styles. Visit www.noharm.com or call 860 391 3530 for more details. 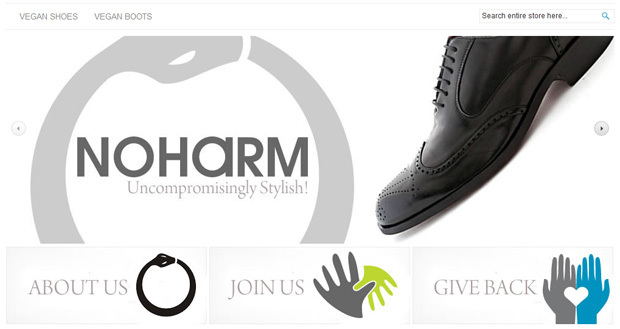 NOHARM, the premier men’s ethical and green footwear brand appears on fashion net. Vegan shoes are getting more and more attention these days from high street brands like, Nike, Brooks, Gucci and many more. Brands are starting to realise there’s a growing demand from responsible consumers. 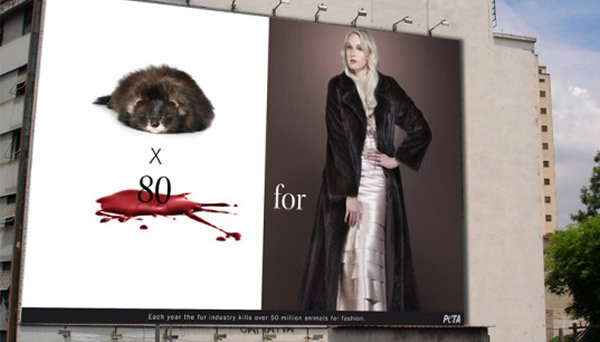 Residents and businesses spoke out after the city of West Hollywood voted unanimously to approve an ordinance that would ban the sale of fur. City staff must refine the ordinance to include the date of implementation and the amount of civil penalties before it can receive final approval, which could come in two weeks. The ban — the first of its kind in the nation — would prohibit the sales of fur clothing but leather goods, furniture, and fur decorated accessories are okay. Take a butchers at the latest ethical styles from NOHARM. 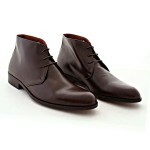 Below’s featured the new plain boot hand-crafted in Italy. adidas Group’s Commitment to Zero Discharge of hazardous chemicals. Looks like adidas are following NOHARM’s lead too by making a commitment to go ethical with their production techniques. Since July 2011 Greenpeace International has been campaigning to drive change in our industry. They are calling for the zero discharge of all hazardous and persistent chemicals at all points in global supply chains: from the cotton fields, to the mills and dye houses that make the fabric and the garment production. In China alone, there are an estimated 50,000 textile mills and hundreds of chemicals suppliers. To put this in context, the adidas Group buys fabric from 10 key textile mills and dye houses in China. These materials suppliers follow some of the strictest standards in the industry. Greenpeace has directed its campaign towards sporting goods companies in the belief that they can act as a catalyst for change for the whole industry. Why? Because sporting goods companies, such as the adidas Group, are already widely recognised for their leadership when it comes to environmental sustainability. The adidas Group has one of the most stringent restricted substances policies of any consumer goods company operating in the apparel sector. We have been working successfully on the reduction and progressive elimination of hazardous chemicals in our supply chain for more than 15 years. Greenpeace’s Detox campaign has been characterised as a competition among brands. The simple truth, however, is that there can be no “winners” unless the industry acts together. With that objective in mind, the adidas Group has together with other brands been working tirelessly in recent weeks to bring the industry together in a forum to develop a roadmap that will address the “zero discharge” challenge that Greenpeace has posed. That forum is planned to be held at the end of September in Amsterdam. The Guardian reports: “Luxury and sustainability are two words you may not particularly expect to find in the same sentence. You may even think they are antithetical concepts.” But this is just what innovative NOHARM brand has been doing for the past 6 years. In support of the principles of prevention and precaution1, and in line with our overall commitment to water stewardship, NIKE, Inc.2 supports the goal of systemic change to achieve zero discharge of hazardous chemicals associated with supply chains and the lifecycles of products within one generation3 or less. NIKE, Inc. is committed to the goal of zero discharge4 of hazardous chemicals5 by 2020. To make this a reality, NIKE, Inc. will continue phasing out hazardous chemicals in our supply chain and we will accelerate the phase out of the highest priority6 hazardous chemicals. 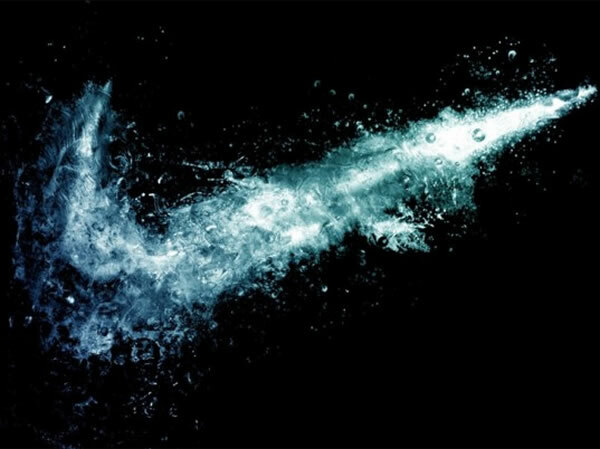 NIKE, Inc. will continue to work with brands, material suppliers, the broader chemical industry, NGOs and other stakeholders to achieve this goal. We will drive towards innovative solutions for transparency in chemical management disclosure. We recognize the path to reaching this goal must be through innovation, the application of green chemistry7, and broad industry and regulatory collaboration and engagement. NIKE, Inc.’s commitment and investment towards this goal and the dedication to system change is unwavering. We will work tirelessly to affect system change across the industry towards this goal. This commitment includes sustained investment in moving industry, government, science and technology to deliver on systemic change. We commit to continue to share what we learn, our approaches and tools and work with others in finding new solutions and removing existing barriers, and to report progress towards comprehensive chemicals management. Within eight weeks, NIKE, Inc. will announce its action plan for the goal of eliminating hazardous chemicals within our supply chain addressing transparency, chemical management, including how we will address the need for industry disclosure in line with right to know principles and a timeline for the elimination of the highest priority hazardous chemicals. Due to the highly complex and shared nature of supply chains, we invite others in our industry to co-create a broader action plan for the industry, as collaboration is critical to drive progress. 2 NIKE, Inc. includes the Nike Brand, Cole Haan, Converse, Hurley, and Umbro. 3 One generation is generally regarded as 20-25 years. However, we intend to accelerate timelines for elimination and substitution through active engagement with material and chemical suppliers and green chemistry innovation. 4 Discharge means all release pathways from our supply chain (contract factories, material suppliers, and dyeing/finishing facilities). 5 Hazardous chemicals are identified through the evaluation of intrinsic hazards including persistence, bioaccumulation and toxic (PBT), very persistent and very bioaccumulative (vPvB), carcinogenic, mutagenic and toxic for reproduction (CMR), and endocrine disruptors (ED), or other properties of equivalent concern. 6 Our approach is to prioritize hazardous chemicals that pose the greatest risk to consumers, workers and the environment. 7 Green Chemistry is the design, development, and implementation of chemical products and processes to reduce or eliminate the use and generation of substances hazardous to human health and the environment. The principles of Green Chemistry such as proactive pollution prevention and the use of inherently safer chemistries are consistent with the intentions of the Precautionary Principle. 8 A partial list of Nike tools include: the Restricted Substances List (RSL), Green Chemistry Program, Sustainable Chemistry Guidance, H2O-Insight Water Tool, Materials Analysis Tool (MAT), and the Considered Index. A partial list of current collaboration partners includes: AFIRM, BSR, CEO Water Mandate, the Apparel Coalition, Green Chemistry Institute (GCI), Green Chemistry and Commerce Council (GC3) and the Sustainable Apparel Coalition. 9 Right to know is defined as practices that allow members of the public access to environmental information – in this case specifically about the uses and discharges of chemicals based on reported quantities of releases of hazardous chemicals to the environment, facility-by-facility, year-by-year. 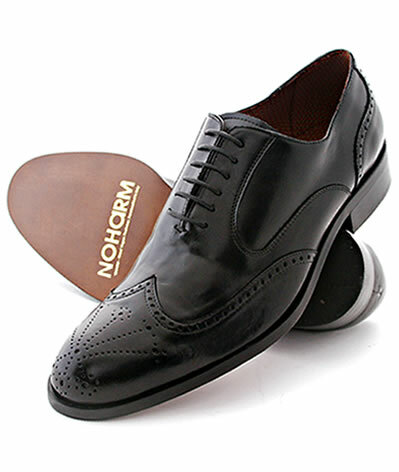 NOHARM offer a collection of vegan brogues which easily rival the leading traditional leather brands including Gucci, Prada, Jeffery West, Grensons, Tods etc. 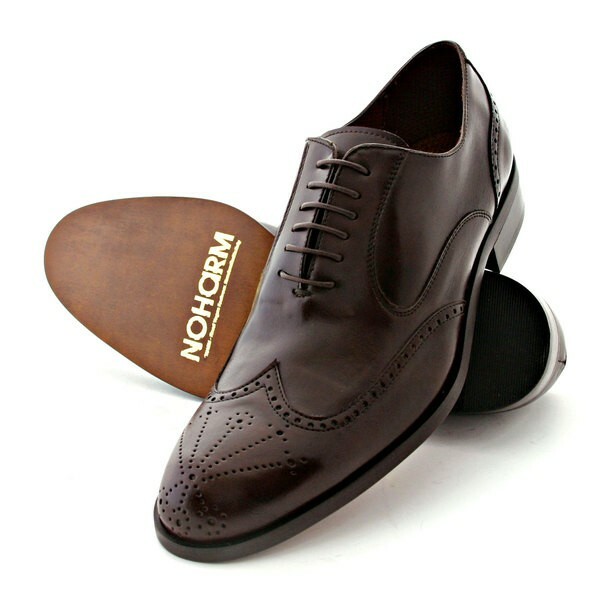 The NOHARM Brown leather-free traditional brogue lace-up shoe radiates a clean and sophisticated style. 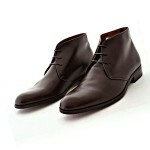 The look is sharp and elegant and will compliment a suit, trousers or jeans in either a social or business environment. 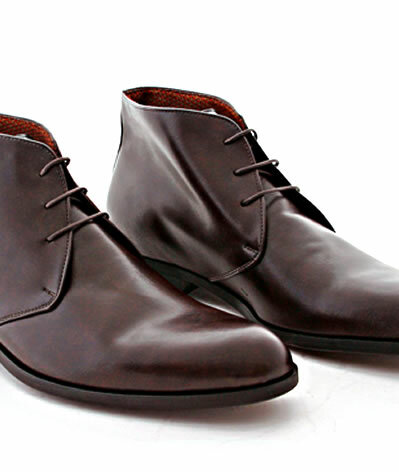 These stylish and ethically responsible shoes are hand-crafted in Italy (NOHARM is strongly opposed to child-labour and worker exploitation). The unique lining is designed to dissipate perspiration and drastically reduce odor. All ingredients and components used to manufacture NOHARM footwear are meticulously researched to ensure the finished product conforms to Vegan Society standards. NOHARM is a proud recipient of the Vegan Society Trademark. All shoes are carefully packaged in biodegradable boxes which are printed with environmentally-friendly ink. 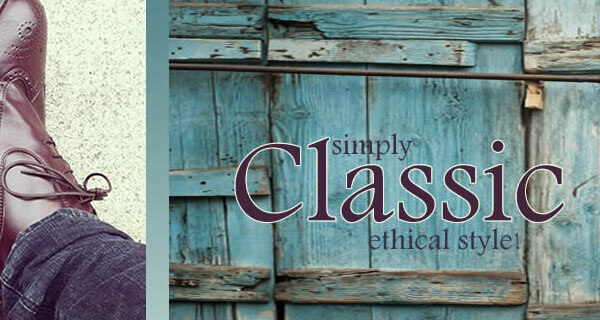 NOHARM, the brand widely known as the leading Ethical Fashion brand, will be offering a selection of body care products in 2011, including an Ethical Aftershave and Perfume. ARMANI’S GREEN FINGER: In a burst of civic pride, Giorgio Armani has donated 50,000 euros to the city of Milan to revamp an existing green area in one of Milan’s most historic piazzas — Risorgimento Square — located in the heart of the city. The donation won’t involve billboards or marketing strategies and stems from the designer’s desire to improve the city. Over the years, he has often voiced opinions about Milan lacking in urban aesthetics. There has been talk of Giorgio Armani collaborating with super green brand, NOHARM. Now that is a colab we’d like to see! NOHARM Black Brogue Vegan Boots NOHR1966. The NOHARM Black leather-free traditional brogue lace-up boot radiates a clean and sophisticated style. 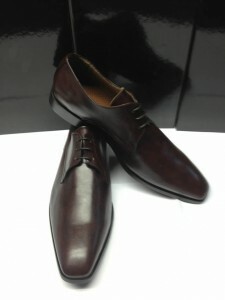 The look is sharp and elegant and will compliment a suit, trousers or jeans in either a social or business environment. 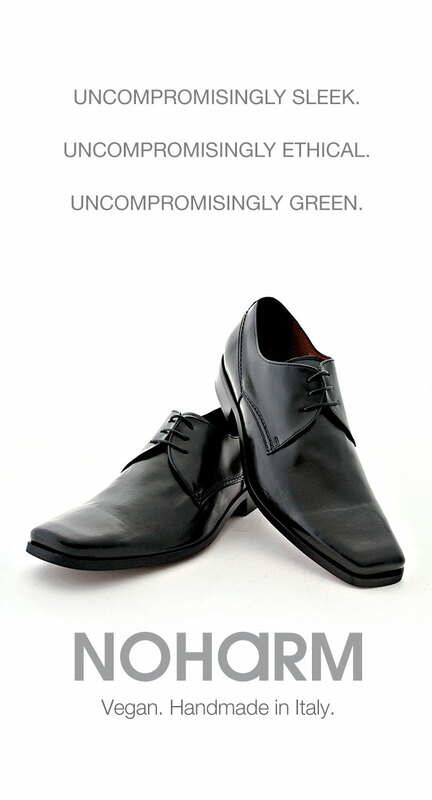 These stylish and ethically responsible shoes are hand-crafted in Italy (NOHARM is strongly opposed to child-labour and worker exploitation). The unique lining is designed to dissipate perspiration and drastically reduce odor. All ingredients and components used to manufacture NOHARM footwear are meticulously researched to ensure the finished product conforms to Vegan Society standards. NOHARM is a proud recipient of the Vegan Society Trademark. All boots are carefully packaged in biodegradable boxes which are printed with environmentally-friendly ink. Albany Vegetarian Network Inc.’s Photos – 2010 Veg Expo & Fashion Show featuring NOHARM. 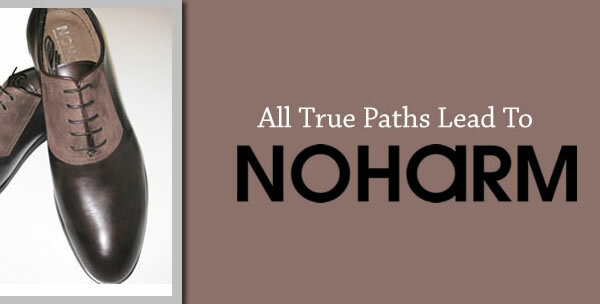 Since 2004, USA/UK-based NOHARM has combined high fashion and eye-catching aesthetics with a bold and inspiring set of ethics that guides its operations, materials sourcing, and production processes. The Company’s shoes are certified as fully vegan by the Vegan Society, completely cruelty-free, and hand-crafted in Italy by manufacturers that do not use child labor or worker exploitation. The Albany Vegetarian Network Inc. is a not-for-profit organization comprised of dedicated volunteers. Our goal is to promote the global health benefits of green sustainable living, environmental awareness, compassion for animals and all beings and to highlight their relationship to a vegetarian/vegan lifestyle. The original vegan footwear brand, NOHARM, has released the first phase of their Autumn Winter 2010/2011 Collection. 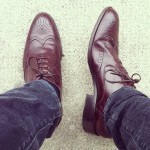 The brand has not disappointed with a collection of brogues and wingtip shoes and boots hand-crafted in Italy. 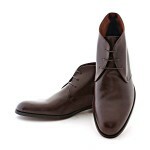 The look is sharp and elegant and will compliment a suit, trousers or jeans in either a social or business environment. These stylish and ethically responsible shoes are hand-crafted in Italy (NOHARM is strongly opposed to child-labour and worker exploitation). The unique lining is designed to dissipate perspiration and drastically reduce odor. All ingredients and components used to manufacture NOHARM footwear are meticulously researched to ensure the finished product conforms to Vegan Society standards. NOHARM is a proud recipient of the Vegan Society Trademark. All shoes are carefully packaged in biodegradable boxes which are printed with environmentally-friendly ink. NOHARM the original ethical brand has provided a sneek peek of their 2010 Autumn/Winter collection due for release in September. The vegan brogues are hand-crafted in Italy and easily compare to the leather styles of Gucci, Tod’s and Ferragamo collections. Started in 2004, NOHARM has established itself as the ultimate ethical footwear brand and all styles are registered with the Vegan Society. Following in the footsteps of the UK based vanguard brand, NOHARM, Swedish designers trumpet their passion for environmentally-friendly and ethical fashion. Eco Chic – Towards Sustainable Swedish Fashion opened at the Scandinavia House: The Nordic Center in America, showcasing Swedish fashion designers who take an environmentally-friendly and ethical approach to their work without sacrificing style. On view through August 21st, this exhibition illuminates high fashion alternatives to mcuh of today’s environmentally harmful clothing. Proving that “going green” is more than a feel-good fad, Swedish designers collaborated to establish a culture of sustainable fashion. The fashion industry faces major challenges in both resources and labor, but designers featured in the Eco Chic exhibition strive to change the general attitude of fashion and consumption. They believe that sustainable development is not simply an empty phrase, and fashion is not just about appearance. This touring exhibition from The Swedish Institute (SI) which premiered in Belgrade in the winter of 2008 has visited major international cities including Minsk, Kiev, Riga, Istanbul and most recently Berlin. The installation at Scandinavia House in New York marks the first American stop on this tour. Sustainable clothing has typically been distinguishable by its appearance. Now, as Eco Chic illustrates, ethical fashion look no different from conventionally produced clothing. It can be exciting and it is possible to construct high fashion garments with sustainable and ecological practices. What sets this kind of fashion apart is implicitly in the values and attitudes of individual garments, and continue right thorough to the finished product, including the transparency of fashion companies about their production processes and materials. Eco Chic designers aspire to create a culture o principles design and production. Through this touring exhibition, they hope to inform consumers that fashion can be simultaneously stylish and sustainable. Eco Chic – Towards Sustainable Swedish Fashion presents garments and footwear by various Swedish fashion designers. Featured in this exhibition include: Anja Hynynen, Bergman’s, Camilla Noorback, Dem Collective, Johanna Hofring, Julian Red, Nudie, Pia Anjou, Reflective Circle, Righteous Fashion, Swedish Hasbeens and Zion. End-of-life issues are among the thorniest in sustainability, but two footwear players are taking it on. This spring, Waltham, Mass.-based Earth Footwear is celebrating the 40th anniversary of Earth Day with a spring ’10 launch of its biodegradable sole, which will be rolled out across the line. Joining athletic company Brooks and sneaker brand Simple, Earth will use an additive that helps outsoles biodegrade 10 times faster than a normal shoe. The additive is the newest environmentally oriented action from the brand, which already uses water-based adhesives, recycled PET linings and insole boards made of recycled milk cartons. New York-based Anthony L&S footwear is launching three collections for men and boys under the Bob Marley name, many of which have a green twist. Shoes in the One Love collection feature recycled natural rubber foxing tape and recycled EVA in the outsole. 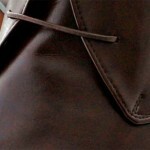 The more aggressive Fashion collection will pair recycled crepe foxing with suedes, leather, canvas and nubucks. And the more casual Vulcanized collection uses the leather and suede on more skate-inspired sneaker looks. Targeted to specialty boutiques and mass-market retailers, the $30-to-$130 line will deliver in June and July. Following in the footsteps of the NOHARM brand, G-Star Raw continues to be a leader both in design, and in advocacy. They use sustainable fabrics like organic cotton and they are also at the forefront where socially responsible production methods and labor are concerned. Check out G-Star’s End Poverty 2015 Campaign in affiliation with the UN’s Millennium Goals. Here’s how you can get involved. End poverty by 2015. This is the historic promise 189 world leaders made at the United Nations Millennium Summit in 2000 when they signed onto the Millennium Declaration and agreed to meet the “Millennium Development Goals (MDGs). The MDGs are an eight-point road map with measurable targets and clear deadlines for improving the lives of the world’s poorest people. World leaders have agreed to achieve the MDGs by 2015. Whilst studying at a London Uni a meat eating antagonist highlighted the glaring hypocrisy in my defence of a vegetarian lifestyle. “Why,” he asked, “do you trumpet the health benefits and compassionate virtues of a vegetarian and/or vegan diet whilst wearing a square metre of cow’s skin on your feet?” I had no adequate reply to this valid question apart from to say I was on a journey and although I felt I was on an honorable path I still had much ground to cover. In reality, I felt humiliated and something of a hypocrite. I went back to my bed-sit a little dejected. After a few moments cogitating I decided to catch a tube to the westend to buy a pair of smart vegan shoes I could use for both job interviews and evenings out. I arrived at Oxford Street full of enthusiasm and a hundred pounds in my pocket. Where should I start? There were so many options? At least, that’s what I thought until I entered over 10 shoe shops and not one could offer me a smart pair of vegan shoes. Surely, there must be somewhere I desperately proclaimed to one shop assistant who looked at me like I was asking for directions to the Sangraal. 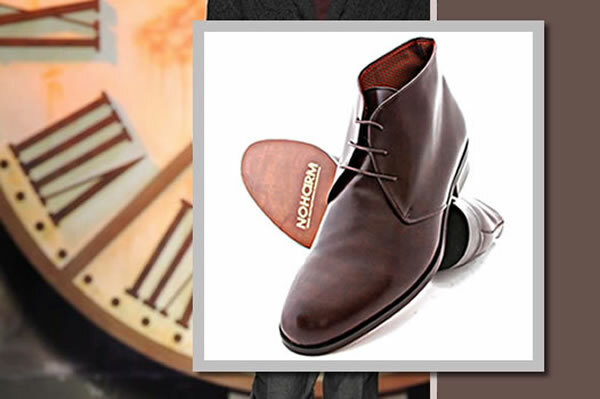 After over 4 hours of searching it became patently obvious that footwear manufacturers and retailers had decided there was no market for smart vegan shoes, or vegetarian shoes or vegetarian boots for that matter. 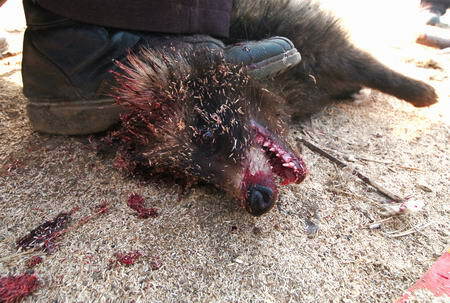 In the end I bought a pair of canvas shoes and just hoped the glue and sole didn’t have any dead animal ingredients. Well, that was over fifteen years ago and I am happy to say things have improved considerably for vegans and/or vegetarians wishing to buy decent vegan shoes or vegetarian shoes over the years. It turns out those green slogans in Vivienne Westwood’s spring ’10 collection weren’t just for decoration. In fact, the dame takes her environmental statements quite seriously and has followed the NOHARM organic vision. Most recently she teamed up with Anvil Knitwear to design a sustainable T-shirt to raise awareness about and help stop global deforestation, announced in time for the UN Climate Change Conference taking place in Copenhagen. Images have yet to be released (it must be hard to upload JPGs while climbing over barricades and battling riot police), but we’re guessing they’ll look something like Seditionaries meets Captain Planet. This winter, Yves Saint Laurent introduces ‘New Vintage II’ in the footsteps of the original NOHARM brand, the second edition of an environmentally-conscious capsule collection designed to reclaim, recycle and sustain. Recycling unused fabrics from the YSL archive, and adapting them to his classic silhouettes, Creative Director Stefano Pilati marries feminine refinement with sustainability — a concept more relevant than ever in today’s universe. Pilati traditionally employs fabric innovation as a method to create uniqueness in a garment. In this second ‘New Vintage’ collection he presents several iconic silhouettes using the aforementioned archive fabrics exclusively and evolves them through varied treatments and distinctive textile combinations. ‘New Vintage II’ will be available as of mid-December 2009 in limited, numbered editions at the YSL flagship boutiques in Paris, London and New York. Having debuted in June 2009, the first ‘New Vintage’ collection was sold exclusively at Barneys New York — an innovator in the movement towards socially and environmentally-responsible fashion — where it met great demand and immediate success. Following in the footsteps of the inimitable, NOHARM brand, Morrissey is working on a leather-free range of footwear with Paul McCartney’s daughter Stella, the fashion designer has revealed. Both Morrissey and McCartney are vegetarians, and although the pair’s designs are still in the early stages, she says they are hoping to launch the range next year. McCartney is also reportedly set to work with fellow vegetarian Leona Lewis on a new clothing range. In other Morrissey news, the singer recently suggested that suicide was “honourable” while appearing on BBC Radio 4’s Desert Island Discs. Following the benchmark set by the NOHARM Ethical Fashion Brand, Eloise Grey launches her first luxury sustainable fashion boutique ‘Upstairs at Purity’. Eloise Grey’s concept store carves out a niche in the luxury sustainable fashion arena, and specialises in UK artisan produced clothing for women and men. Grey will be selling her own prize-winning organic tweed womenswear, alongside other fashion labels that match her standards of sustainability, style and fashion edge. Grey works with designers who keep their design process on a human scale, and which maintains a connection with the makers. Many of Grey’s labels are made in the UK, often organic materials, all of which contain a story and connection to the makers. In response to demand from customers Grey will also be introducing a capsule menswear collection. Eloise and the Isle of Mull Weavers, who produce her organic tweeds, were filmed for the BBC series Tweed. 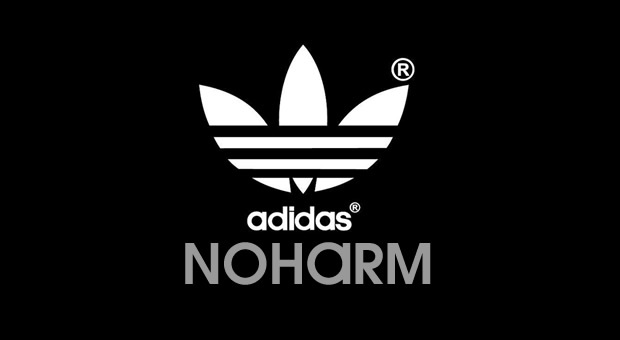 NOHARM – Never Made in Sweatshops! NOHARM Organic Cotton T-Shirt. Displays the NOHARM logo plus the NOHARM strapline: “Truth Is That Which Can Do NOHARM” Available in Expresso Brown and Moss Green. Made in Canada. NOHARM is actively against production of apparel, footwear and accessories in all too common sweatshops throughout the world and will only work with manufacturers who provide a fair wage and humane working conditions. A sweatshop is a working environment with conditions that are considered by many people of industrialized nations to be difficult or dangerous, usually where the workers have few opportunities to address their situation. This can include exposure to harmful materials, hazardous situations, extreme temperatures, or abuse from employers. Sweatshop workers often work long hours for little pay, regardless of any laws mandating overtime pay or a minimum wage. Child labor laws may also be violated.